New British number two Aljaz Bedene is through to the quarter-finals of the Casablanca Open with a 6-2 6-3 win over Belgian Arthur De Greef. The Slovenia-born 25-year-old followed up his opening win over Maximo Gonzalez in his first tournament as a Great Britain player with a straights set victory over his fellow qualifier. Bedene will next face either Russia's Mikhail Youzhny or Czech Jiri Vesely. 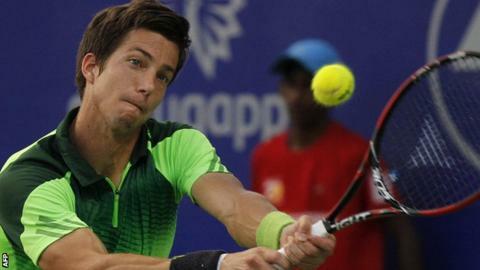 Bedene became Britain's number two when switching countries last month.